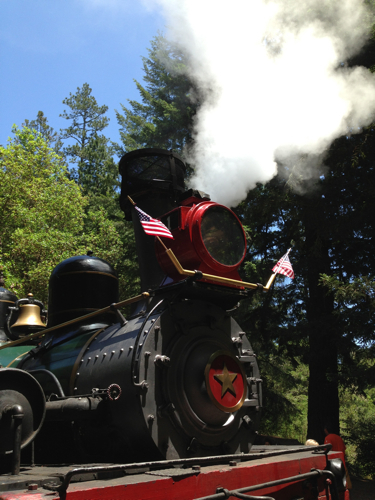 A few weeks ago we went to Roaring Camp near Santa Cruz to ride the narrow-gauge steam train up the “mountain”. The train line abuts the Henry Cowell redwoods – I strongly recommend that you visit those as well (though the photos I took were all terrible, for some reason). This entry was posted in US travel and tagged trains on July 3, 2013 by Deirdre Straughan. In every station in Italy there are posters (printed on yellow paper) of the usual schedules for Partenze (Departures) for that station. Find the time and train you are taking, and the column furthest to the right will show the platform (binario) that that train USUALLY departs from. 99% of the time it will in fact use that platform, unless some other train being late throws things off. 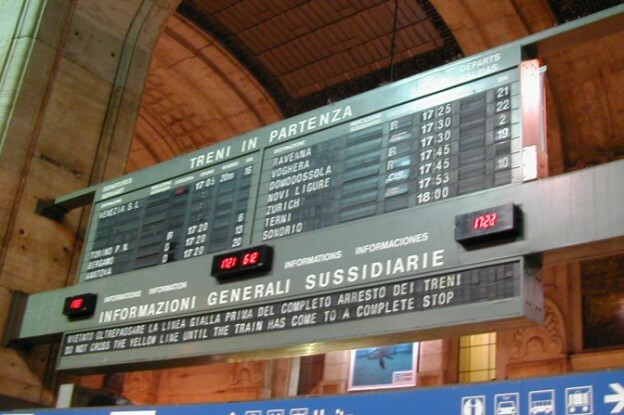 That’s why you need to also keep an eye on the electronic departures board, usually large and centrally located (shown is a departures board at Milan’s Central Station). Most of the time, if there is a change of track, it will be to a track near the usual one, so if you position yourself near the usual track but where you can still see the board, you’ll be in plenty of time to move to the new track. In larger stations, there is also a rolling display and/or a TV screen at the head of the track which will update as soon as new info for that track is posted. 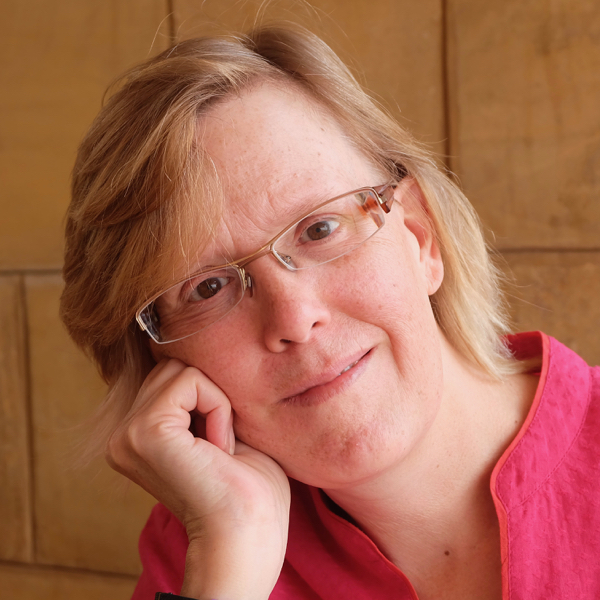 And don’t be afraid to ask – even the Italians are left wondering sometimes, so you won’t look any stupider than anybody else. If you are going to the station to meet somebody, look for the analogousÂ Arrivi(Arrivals) poster, printed on white paper. There is also an electronic Arrivals board updated in real-time. Both arrivals and departures are usually announced via loudspeaker as well, but these can be hard to understand in the bustle of a busy station. Don’t Forget to Stamp Your Ticket! No matter what kind of ticket you have, you must stamp it before getting on the train. Look for a little yellow machine like this one, positioned at the head of or alongside the track, as you enter the station, and usually in any underpass tunnels in the station. This entry was posted in Italy travel and tagged Italy travel, trains on December 10, 2003 by Deirdre Straughan.